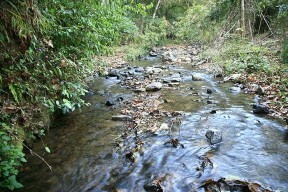 Habitat in Chiang Mai province, northern Thailand. maetaengensis: named for the Nam Mae Taeng river, Thailand, type locality of this species (see ‘Distribution’). Endemic to northern Thailand where it’s known only from parts of the Mae Nam Ping tributary drainage within the upper Chao Phraya river basin. Type locality is ‘Nam Mae Taeng River, tributary of Mae Nam Ping River, about 56 kilometers north of Chiang Mai, Thailand’. 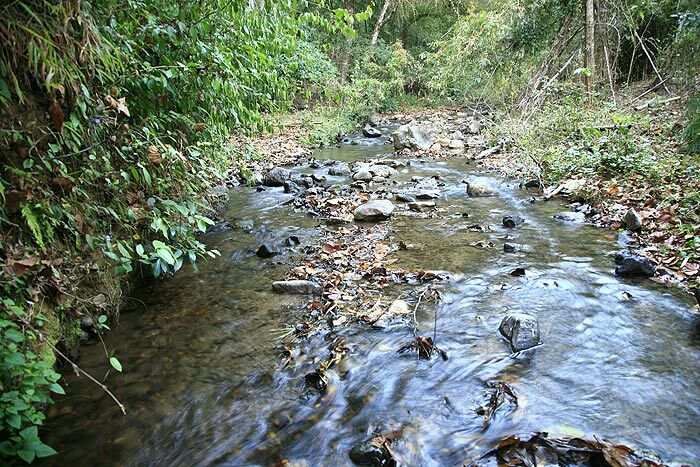 Inhabits small, moderate-to-swiftly-flowing streams with clear water, substrates of sand, gravel and rocks and no aquatic vegetation. 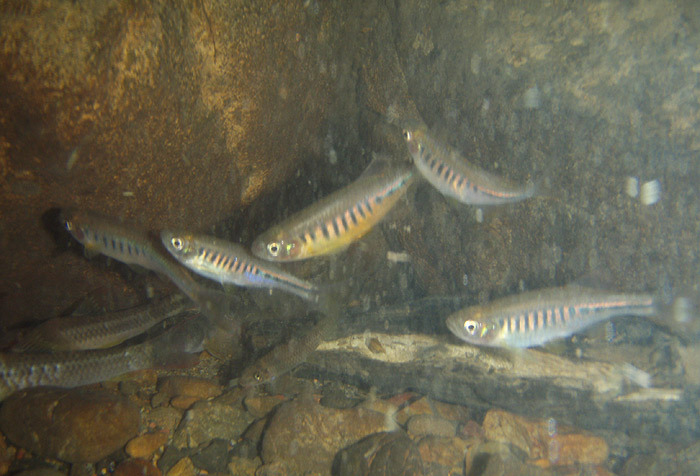 Sympatric fish species include Barilius pulchellus, Neolissochilus stracheyi, Poropuntius bantamensis, Scaphiodonichthys acanthopterus, Garra cambodgiensis, Balitora sp. 1, Balitora sp. 2, Homalopteroides cf. smithi, Glyptothorax cf. laosensis, Oreoglanis sp., Channa gachua, Mastacembelus armatus, Schistura desmotes, S. poculi, S. pridii, S. spilota, and S. waltoni. Sexually mature females are normally deeper-bodied, less colourful, and grow a little larger than males. 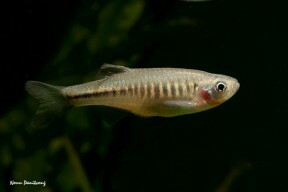 This species is also traded as ‘tiger danio’. 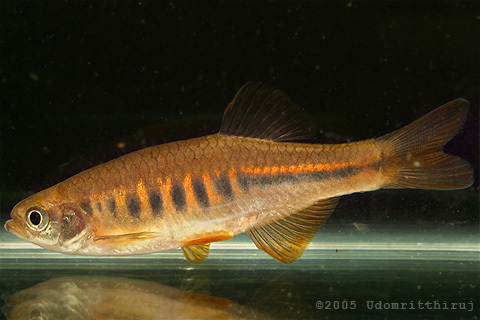 It’s distinguished from similar-looking species by a combination of characters as follows: lateral line complete with 31-35 pored scales; presence of both rostral and maxillary barbels; flank markings comprising a series of vertical bars which become gradually deeper, then gradually shorter, with the most posterior the same depth as the P stripe (see below for definition); P stripe itself consisting of a series of contiguous blotches. It is most easily confused with ‘I.‘ shanensis and Devario interruptus, but in ‘I.‘ shanensis the lateral line has 23-25 pored scales, only rudimentary maxillary barbels may be present, and the P stripe is uniformly-pigmented.